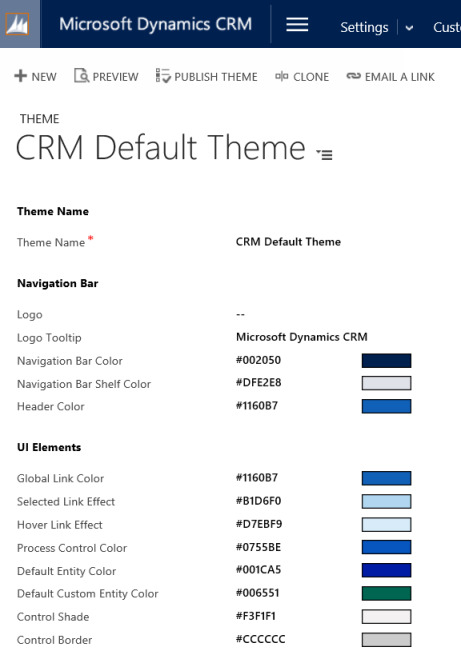 You can create a custom look and feel (a theme), for your Microsoft Dynamics 365 web application by making changes to the default colors and visual elements provided in the uncustomized Dynamics 365 system. For example, you can create your personal product branding by adding a company logo and providing entity-specific coloring. A theme is created by using the customization tools in the user interface, without requiring a developer to write code. You can create, change or delete themes that are used in your organization. 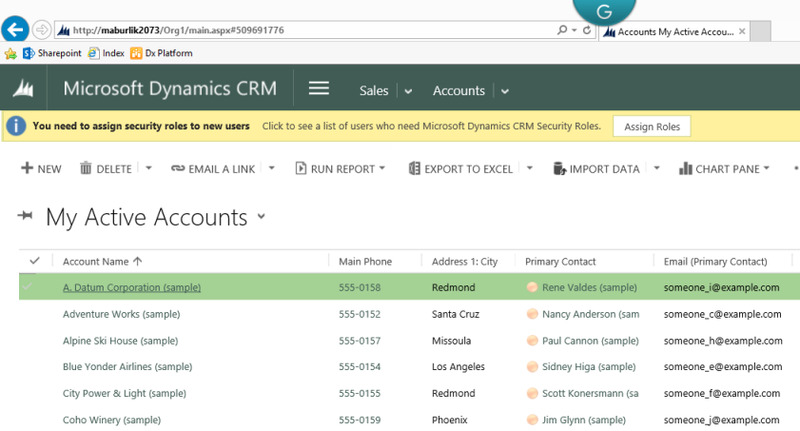 The theme customization is supported in the Web forms inDynamics 365 for Outlook. You can define multiple themes, but only one can be set and published as the default theme. What can you change or adjust? The theme is not solution aware. The changes made for an organization's theme aren’t included in solutions exported from the organization. The data is stored in the theme entity that can be exported and re-imported in other environment. The imported theme must be published to take an effect. The easiest and quickest way to create a new them is to clone and alter an existing theme, then save it, preview and publish. Go to Go to Settings > Customizations. 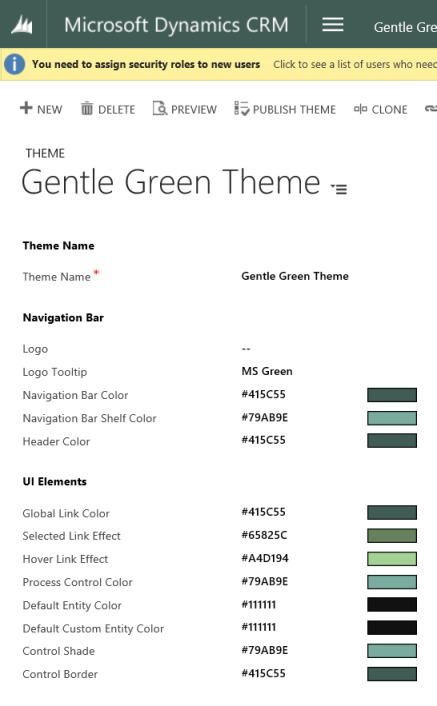 Choose Themes and then choose Dynamics 365 Default Theme. The following screenshot shows the default theme setup. Carefully choose the contrasting colors. Dynamics 365 out-of-the-box default theme has the correct contrast ratios to ensure optimal usability. Use similar rations for your new themes.